As with all medicine, early diagnosis and treatment can help people with their overall health. Just as with a physical, it makes sense to visit an Optometrist regularly for a routine eye exam. A series of tests will be performed to assess acuity, refraction and screening for potential eye disease. 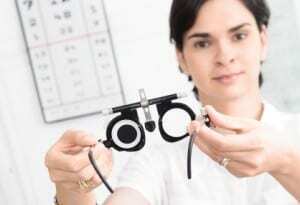 The Optometrist would also test for refractive errors. A refractive error means that the shape of your eye doesn't refract the light properly, so that the image you see is blurred. Although refractive errors are called eye disorders, they are not diseases. Myopia (nearsightedness): Close objects look clear, but distant objects appear blurred. Astigmatism: Vision is blurred for both near and far objects. Presbyopia: The eyes gradually lose the ability to change focus from distance to near. Many people will have one or more of these refractive errors. To correct a refractive error, our Optometrist in Petaling Jaya may recommend glasses, contact lenses, or refractive surgery. After the examination your Optometrist will discuss the results with you. If there is any eye disease, treatments with medication, including eye drops, may be recommended. In some cases, certain eye diseases require laser surgery or other surgical procedures. Some of the treatments are would be referred to an Eye Doctor or, you may be referred to a subspecialist, such as a cornea or retina specialist. To ensure your child or teenager's eyes remain healthy, he or she should have his or her eyes screened every one to two years during regular Optometrist Pediatric check-up appointments. Most young adults have healthy eyes, but they still need to take care of their vision by wearing protective eyewear when playing sports, doing yard work, working with chemicals, or taking part in other activities that could cause an eye injury. Have a complete eye exam at least once between the ages of 20 and 29 and at least twice between the ages of 30 and 39. Also, be aware of symptoms that could indicate a problem. As of July 2007, the American Academy of Ophthalmology has issued a new eye disease screening recommendation for aging adults. The Academy now recommends that adults with no signs or risk factors for eye disease get a baseline eye disease screening at age 40—the time when early signs of disease and changes in vision may start to occur. For individuals at any age with symptoms of or at risk for eye disease, such as those with a family history of eye disease, diabetes or high blood pressure, the Academy recommends that individuals see their Optometrist or ophthalmologist to determine how frequently their eyes should be examined. A baseline evaluation is important because it may detect eye diseases common in adults aged 40 and older. The evaluation creates greater opportunity for early treatment and preservation of vision. A thorough Optometric evaluation can uncover common abnormalities of the visual system and related structures, as well as less common but extremely serious ones, such as ocular tumors. This evaluation can also uncover evidence of many forms of systemic disease that affect the eyes, like hypertension and diabetes. With appropriate intervention, potentially blinding diseases such as glaucoma, cataract and diabetic retinopathy often have a favorable outcome. Several common eye diseases can impact people 40 and older without them knowing there is any problem with their eyes. Seniors age 65 and over should have complete eye exams by their visual screening by an Optometrist and Eye Doctor every one to two years to check for cataracts, glaucoma, age-related macular degeneration, diabetic retinopathy and other eye conditions.